“Bill Clinton and his daughter Chelsea Clinton issued a statement saying the 74-year-old Shalala was stricken Tuesday evening following a meeting of the Clinton Global Initiative, the foundation’s spinoff organization which seeks solutions to international problems. Its 2015 meeting began Saturday in New York. We wish Donna a speedy recovery! Any of us who had the privilege to work with her know she was a special person. New York State Governor Cuomo Names Task Force to Review Common Core! “Governor Andrew M. Cuomo today launched the Common Core Task Force – a diverse and highly-qualified group of education officials, teachers, parents, and state representatives from across New York that is charged with comprehensively reviewing and making recommendations to overhaul the current Common Core system and the way we test our students. The Task Force will complete its review and deliver its final recommendations by the end of this year. The Task Force will include members of the Governor’s successful New NY Education Reform Commission, which played an instrumental role in developing a blueprint to improve the quality of education for all students through its final report in January 2014. Richard Parsons, who chaired that Commission, will return to lead the Governor’s Common Core Task Force. Mr. Parsons is Senior Advisor, Providence Equity Partners Inc. and former Chairman of the Board, Citigroup Inc. This Task Force is well-needed! 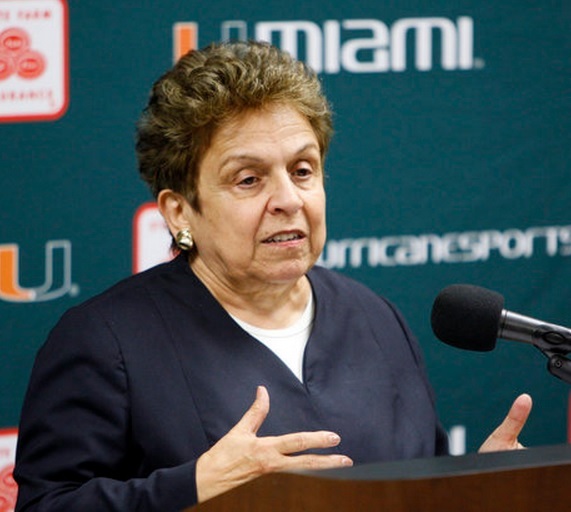 2015 MacArthur Awards Announced – Professor from Brooklyn College among Winners! This year, the list of MacArthur Fellows ranges from a celebrated writer to an environmental advocate to an inorganic chemist, varying in age from 33 to 72 years old. In total, there are 15 men and nine women represented. The recipients were made aware of their award before the 12 a.m. announcement by the MacArthur Foundation this Tuesday. NASA Confirms Water on Mars! “It suggests that it would be possible for there to be life today on Mars,” NASA’s science mission chief, John Grunsfeld, said at a news conference. Scientists in 2008 confirmed the existence of frozen water on Mars. Now instruments aboard NASA’s Mars Reconnaissance Orbiter have yielded the strongest evidence yet that salt water in liquid form trickles down certain Martian slopes each summer, according to the researchers. The rivulets — if that’s what they are, since the evidence for their existence is indirect — are about 12 to 15 feet wide and 300 feet or more long, scientists said. “What we’re dealing with is wet soil, thin layers of wet soil, not standing water,” said Alfred McEwen of the University of Arizona at Tucson, the principal scientist for the Mars Reconnaissance Orbiter’s high-resolution imaging experiment. Last night we were treated to a sky show when the full moon making its closest approach to Earth coincided with a full lunar eclipse where the moon, Earth and sun all lined up, with Earth’s shadow totally obscuring the moon. It’s the first time the events have made a twin appearance since 1982, and they won’t again until 2033. During a total lunar eclipse, the Earth moves between the sun and the moon and cuts off the moon’s light supply. 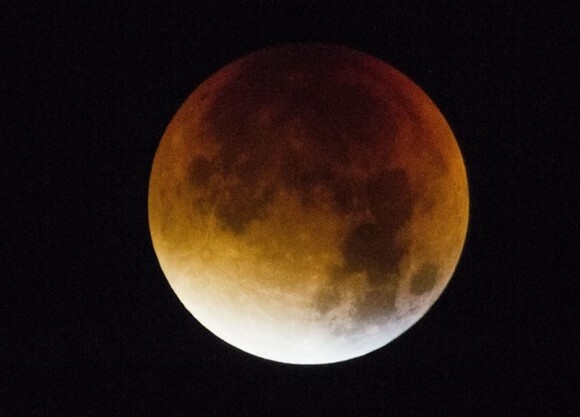 When this happens, the surface of the moon takes on a reddish glow instead of going completely dark. It is the same mechanism responsible for causing colorful sunrises and sunsets and the sky to look blue.The red color of a totally eclipsed moon has prompted many people in recent years to refer to a total lunar eclipse as a blood moon. School Reform in Newark: The Prize… by Dale Russakoff! “In 2010, Facebook founder Mark Zuckerberg decided to give $100 million to the Newark, NJ, schools. He did so at the behest of then-mayor, now US senator Cory Booker and governor Chris Christie. During the announcement on the Oprah show, they explained that they intended to completely reform Newark’s failing schools and in the process create a reform model that could be employed nationwide. As they say, the devil is in the details, and the details were kept secret from everyone else, including the teachers and parents, until the last possible moment. The most important detail was that they intended Newark to become the primary showcase for charter schools in the nation, and that would happen at the expense of the neighborhood public schools. The book details what went wrong, and it’s a long list. Most importantly, Christie and Booker were on the make; they were much more interested in their political futures than they were in the well being of the school kids. In addition, Zuckerberg assumed that having lots of money somehow gave him expertise in a field he knew absolutely nothing about. Finally, everyone involved in the project, most especially the teachers’ union and a horde of educational consultants began thrashing around, desperate to get their hands on the prize referred to in the book’s title, the $1 billion Newark school budget and the $100 million grant. In the end, the project failed. Booker and Christie moved on to bigger and better things, Zuckerberg’s grant was consumed mostly by grasping opportunists, the parents were left frustrated and angered, and the schools didn’t improve. At no point did anyone consult the actual classroom teachers– the people in closest contact with the kids and with the most direct knowledge of what they needed– about how the money might be spent. Indeed, the teachers were pressured into taking de facto pay cuts, while the consultants were being paid $1,000 a day. I highly recommend this book as a lesson of what not to do in urban education. It shows that impatience and media-ops are not what make for successful school improvement. It also rightly demonstrates that parents and teachers are critical to any reform efforts. Seattle Teachers Approve New Contract and End Strike! The Seattle Times and the Associated Press are reporting that Seattle teachers have approved a new labor contract between the union and its school district, officially ending a week-long strike that had delayed the start of school for 53,000 students. The walkout began Sept. 9 and was suspended pending the outcome of last Sunday’s vote by the 5,000-member union. The Seattle Times reported that of the estimated 3,000 members who attended a special meeting of the membership, 83 percent of teachers, 87 percent of paraprofessionals and 96 percent of office professionals voted to approve the contract, according to the Seattle Education Association. “We got many new things in our contract that will benefit students,” Shelly Hurley, a special education teacher and a member of the union bargaining team, said in a statement. The contract gives teachers a 9.5 percent pay raise over three years, not including state cost-of-living adjustments, guaranteed 30-minute recesses for elementary students and more teacher input over standardized tests. This appears to be a good settlement for both sides. John Boehner Makes Stunning Announcement that He Will Retire from Congress in October! The Associated Press is announcing that House Speaker John Boehner informed fellow Republicans this morning that he would resign from Congress at the end of October, stepping aside in the face of hardline conservative opposition that threatened an institutional crisis. The 13-term Ohio Republican shocked his GOP caucus early Friday morning when he announced his decision in a closed-door session. It came one day after a high point of Boehner’s congressional career, a historic speech by Pope Francis to Congress at Boehner’s request. A constant focus of conservatives’ complaints, Boehner was facing the threat of a floor vote on whether he could stay on as speaker, a formal challenge that hasn’t happened in over 100 years. That was being pushed by tea partyers convinced Boehner wasn’t fighting hard enough to strip Planned Parenthood of government funds, even though doing so risked a government shutdown next week. Boehner “just does not want to become the issue,” said Rep. John Mica, R-Fla. “Some people have tried to make him the issue both in Congress and outside,” Mica said. Some conservatives welcomed the announcement. But more mainstream Republicans said it would be a pyrrhic victory for the tea partyers. “The honor of John Boehner this morning stands in stark contrast to the idiocy of those members who seek to continually divide us,” said Rep. David Jolly of Florida. “The shutdown caucus as I call them has a small victory,” Jolly said. This is huge news with major political ramifications! New York Welcomes Pope Francis! As provided by NBC News, Pope Francis plunged into the melting pot of New York on Thursday after reminding the country of its immigrant origins in the first papal speech before Congress. At an evening prayer service in St. Patrick’s Cathedral, he thanked American nuns for their strength and courage in a deeply meaningful acknowledgement of their service following a years long Vatican crackdown. 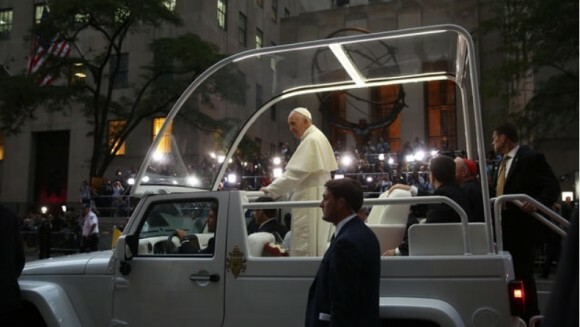 The popular pontiff received raucous cheers upon his arrival in Manhattan. 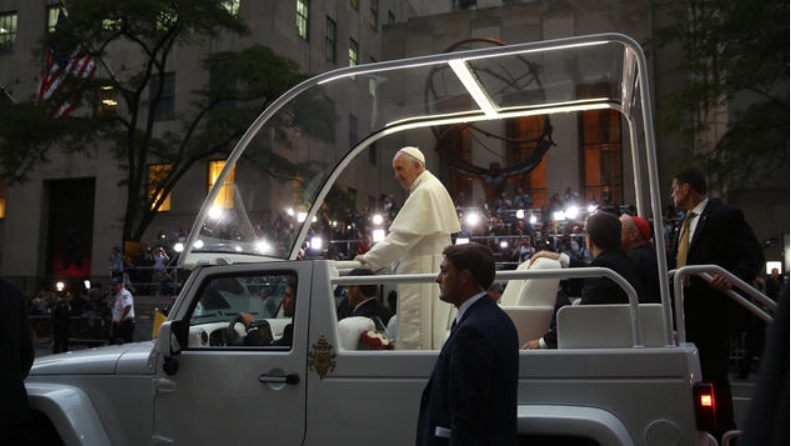 Thousands of people lined the streets leading to St. Patrick’s to greet him, cheering, waving flags and adoringly chanting his name as he gestured toward them from his pope-mobile. Here is a link to several videos provided by NBC News tracing his visit yesterday. Catch especially the one of a girl in a wheelchair blessed by the Pope. Evolllution Article – Knowing Your Adult Learners: Use Data! I just had a second article on adult learners published in Evolllution. Knowing Your Adult Learners: Use Data, is a follow-up to another article published a week ago. The latest piece provides specific insights into how data can be used to engage adult learners and to help them succeed in achieving their education goals.